This entry was posted in Actors + Studio Pros and tagged ACX, audiobook, audiobook narration, audiobook production, studio gear, Studio Gear Series. Bookmark the permalink. Sennheiser HD 280 pro is my baby–also my nemesis, as it picks up all my mistakes! I use Ultrasone PRO-750 ‘s at Brick Shop Audio. They are the best headphones I’ve ever used. They’re non-fatiguing and are very accurate. The bass response is much more realistic (not hyper compressed), which in practical terms, means if you knock the table you’ll hear it but it won’t blow out your eardrums. (very important for us kickers 🙂 ). Sweetwater doesn’t carry Ultrasone, so check out Full Compass (fullcompass.com) or ebay for those headphones. If you’re on a budget, I’d suggest Monoprice headphones. Very comfy, decent reference and no bleed into the mic if you decide to monitor loudly. 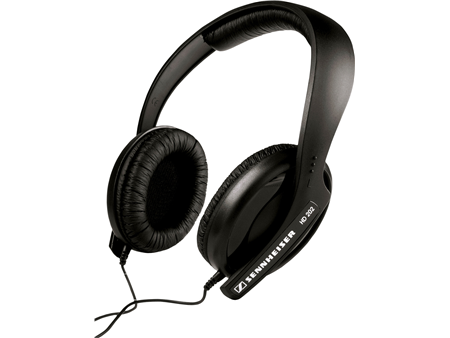 We use Sennheiser HD 280 pro monitor headphone. I can’t speak highly enough about them. Best I’ve had at a $100 pricepoint. I would leave out the Shure option on this. They are not headphones, even by Sweetwater’s definition. They are for leisure wear and will not be comfortable for the 40 hours plus you will spend editing an average audiobook. Remember also that you want a headphone that will reproduce as close to what the microphone picked up without adding anything to the mix like “enhanced bass” etc. The drivers should be the best you can get for the money. I am very surprised that neither the Sennheiser 380HD Pro or the 280HD Pro are on this list. They are perfect for editing long-form narration. I use the Sony pair mentioned above. Love them! ok.. you just made me go over them with my mouse out of curiosity, and it only happens once. Next time you roll over… they don’t move. Weird. I use the AKG K 240. If you record on a regular basis these would be my first choice of headphones. Gives you a clear representation of what you are really saying. I love these. I have always sworn by my Sennheiser HD265 headphones, but they don’t make that model any more. What are people’s thoughts on the AKG K-550’s i rather like them. 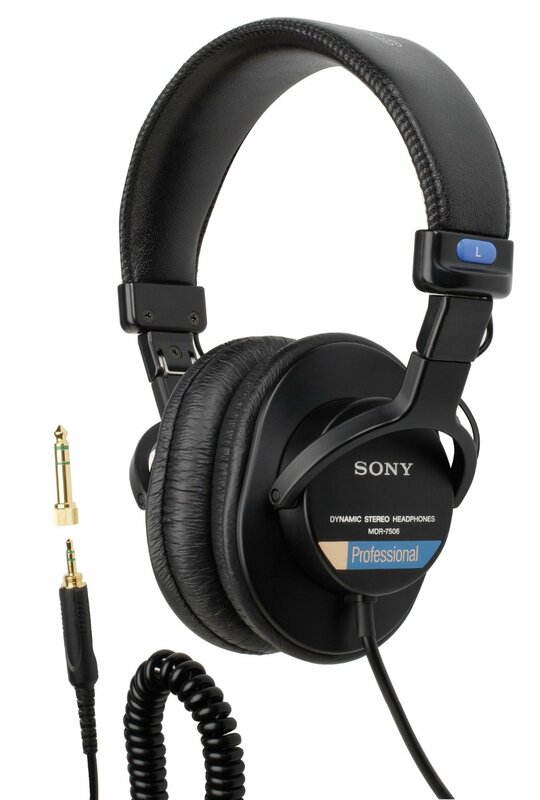 I use Sony MDR-V6 which is extremely similar to the Sony MDR-7506 and I love them! I also have the Beyer Dynamic velour ear pads on them that make them super comfy. I have always used Sony 7509. I recently A/B’d them with several new Shure and AKG at my local Guitar Center, listening to VO I recorded in my studio that I transferred over to my iPhone for testing. I wanted to be sure they hadn’t aged…or that I had aged, more likely, to the point that I was missing something. Hands-down, no question, 7509 won over every model I tested: fullness, detail, clarity, and for-real bass. Here is the thing on bass. It’s important for home studio users to have serious bass in the cans because down there is where all this insidious rumble can come in that you might not detect otherwise. It’s arguable that you need a bit of a boost down there in your cans to be sure nothing is sneaking in. The absolute best, and I don’t record/mix without them are : beyerdynamic DT 770. You can wear them all day with no discomfort or fatigue. They are the most accurate, quiet, pleasant headphones I have ever used. And I have tried many over the years! I totally agree. I use my DT 770 for all my editing, mixing, and mastering. I never work without them. When I wear headphones for hours at a time, comfort must be a consideration in addition to audio quality. I’ve been using the Sony MDR-7506 for the last three years. So far they seem pretty good. 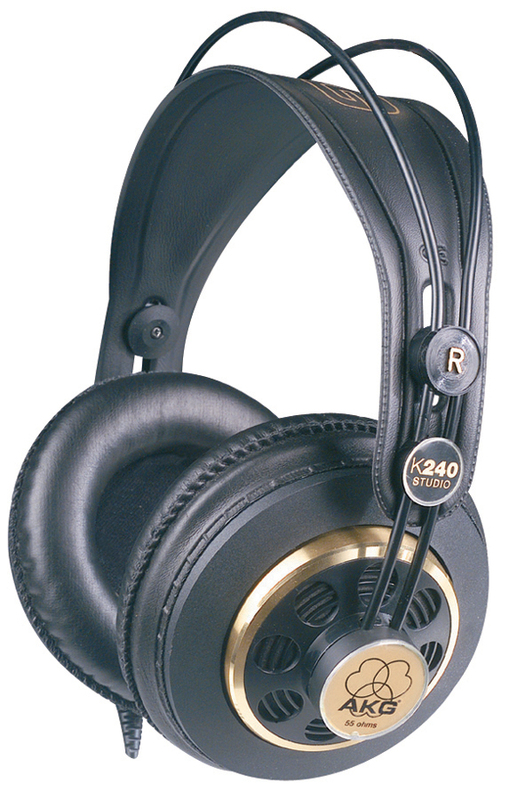 Grado SR225i. Open back headphones that are so light you forget you’re wearing them. Sounds like high end studio monitors. Best headphone under $1000 – and I have used them all. I have been using the AKG K240 series for years they are by far the most accurate headphone I have ever heard in my 25 years of experience as a audio professional. They are also very good for music mixing as well since there bass response is clean. Plus they are very affordable. my ears heating up. One of the Sony MDR’s, I paid $35. I use Sennheiser HD 380’s Pro and I love them. Super comfortable for wearing and the sound is wonderful! I love them. I use Sennheiser’s HD 280 Pro headphones 🙂 – love them! I listened through on the HD 380s at VOICE 2012 and they are great too. While my normal is the Sony V-6 or 7506, for final check I use the Sony 7509 which has a larger over the ear cup for more isolation. The Senn 280 are my favourites thus far. Comfy, durable, accurate, and with good isolation. In-ear monitors are far better for editing/listening in noisy environments, but they aren’t as durable and they’re more expensive. 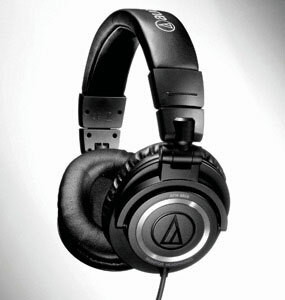 I’ve used audio-technica ATH-M20 for a couple of years, now, and find them wonderful for my recordings. I just purchased Sennheiser 280 pros as it was suggested that a closed circumaural was necessary. Not sure why you suggest ‘open’ headphones? Also purchased Macbook Air and Twisted Wave and my learning curve is getting a grand workout. I sure hope I can start auditioning soon! I switch between Audio-Technica ATH-M50’s and Harlan Hogan’s cans- the AT’s can get a little hot and the HH’s can squeeze a little- definitely different sound. Sennheiser 280 Pros work great for me! What are open and closed headphones and which of the ones you featured in your article are closed and which are open? Shure SRH840 here. Probably a bit heavy for most people but they have good isolation and faithfully reproduce sound. You don’t want to have to worry about bleed from open/semi-open headphones when recording. In fact, you can forgo monitoring altogether if you’re confident in the integrity of your signal chain and the quality of your mic technique. For those who want to monitor themselves when narrating get a pair of comfortable closed back circumaural headphones. Comfort is paramount since you’ll be spending a great deal of your life wearing them. When editing you are also going to want to use headphones since that’s most likely what your product is going to be consumed with. Headphones, earphones, and car stereos are the most probable means of consumption. I would respectfully disagree with having open cans while recording. I have an LDC microphone that, in one person’s statement, “can pick up an ant farm in my neighbor’s yard.” I initially tried open cans while recording. The sound from these headphones bled into the audio after about a 1/8 second delay from source. Thus, I had to go with closed cans… when recording at least. I still use the open-cans (among other devices) when editing. What he means to say is that his narrator wife (850+ titles) listens with one ear on and one off. My Senn HD580s sound just like my Dynaudio BM-5As, which is handy. I have both the Sennheiser 280 Pros and the AKG K-240’s, both good phones at about same price but, for me, the K-240’s are way to go. I find the “fit” on the Sennheiser’s to be tight giving me a headache after prolonged use.The K-240’s have a MUCH softer feel against the head with more than enough compression to eliminate outside interference. I also like the deeper bass tones, great headphones at a great price!! I swear by the Beyerdynamic DT770 phones…flattest I’ve ever used across the entire frequency spectrum, comfortable, and non-fatiguing, I use them for music, post, and audiobook production. RUBBISH!!! Yes, you should listen to your project with headphones as you prepare to send it off for mastering. Listen in a car, too. That said, ALL HEADPHONES ARE TERRIBLY NON-LINEAR COMPARED TO PROPER STUDIO MONITORS IN AN ACOUSTICALLY TREATED SPACE. If you don’t have both, you should hire a properly equipped audio engineer. We are in the flight path of Andrews Air Force Base. Sometimes I don’t hear the far-off helicopter or Hercules but my headphones do. Therefore, those listening to my recording on buds or cans will hear the “flying machines” as well. Speaking of flying, I still don’t feel comfortable “flying” without the cans. For recording, I use Sony MDR-7506 for everyone in the studio. For my editing, I use Beyerdynamic DT 770 Pro. They have clear sensitive sound and are very comfortable to wear for long periods of time. I use Koss Pro4AA Titanium headphones in my studio. They’re lightweight, durable, and keep out extraneous sound. Sennheiser HD 280 pro and Beyer DT 770 Pro. Sennhiesers hwhen tracking, Beyers for editing. Also listen to finished books on decent ear buds, just to get the balance right in mixing, as I figure most folks will listen to the books this way. I also agree with Michael Hansens statement above, use monitors and listen in a car. Sennheiser HD280 pro are excellent for tracking/recording because the isolation is amazing. Be prepared to have your head squeezed, and plan on breaks to relieve the pressure. None! Use studio monitors! you can’t reproduce what the final product from Audible is going to sound like, in headphones or computer speakers. Use studio monitors to edit and master your audio. Otherwise you are not getting an accurate depiction of your audio. Studio monitors give back what you give them without acoustical coloration. And to those who listen to themselves on headphones while recording; Try without and free yourself from what you think sound like, to whats happening on the pages your reading. I love the Sony MDR-7506. When starting out I heard it was the industry standard so I went for it…why re-think it. I found these in use at Buzzy’s Recording in Hollywood, and Cerny American Creative in Chicago, and elsewhere. When recording I keep one ear pad behind one ear so I can hear the voice directly. You don’t want to let your head phones have the final word in editing. You also gotta use monitors as well. I use Harlan Hogan Signature Series Voice Optimized Headphones. I love them! I have used many cans over the years and these are by far the best. I still use my Beats when listening to music but for recording VO the clean sound is perfect. Very interesting statement. The most I like the Audio-Technica ATH-M50, but Sony MDR7506 are pretty cool. I like Shure 535-V the most, So, I’ve looking around to find recommendation.